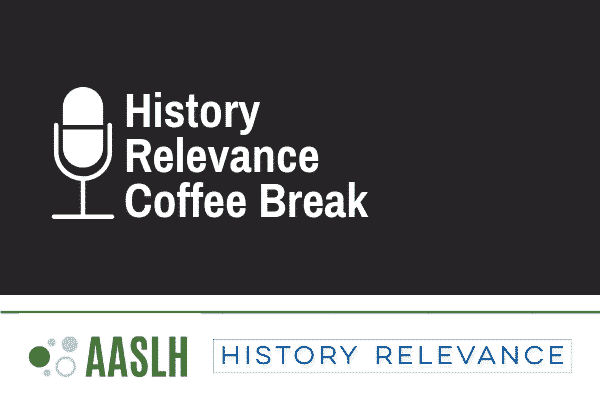 AASLH, in partnership with the History Relevance initiative, is proud to present a new webinar series: History Relevance Coffee Breaks. This short-form webinar series showcases projects by history organizations that are making history relevant to their communities in meaningful, measurable, and replicable ways. In an interview facilitated by a member of the History Relevance initiative steering committee, featured organizations and endorsers of the Value of History Statement share the challenges faced and lessons learned in the development of projects that helped them meet their relevance goals. Each webinar in the History Relevance Coffee Break series is free for members and only $5 for nonmembers! Thursday, December 13 from 3:00 pm – 3:30 pm EST with David McKenzie of Ford’s Theatre. David will discuss how Ford’s Theatre’s prototyping “sprints” have influenced their efforts to connect the past to the present.